Beautiful, Majestic 2 Story Brick Home With Extensive Landscaping. Large 3.29 Acre Lot Includes 3 Parcels On 2 Deeds With Subdivision Possibilities. 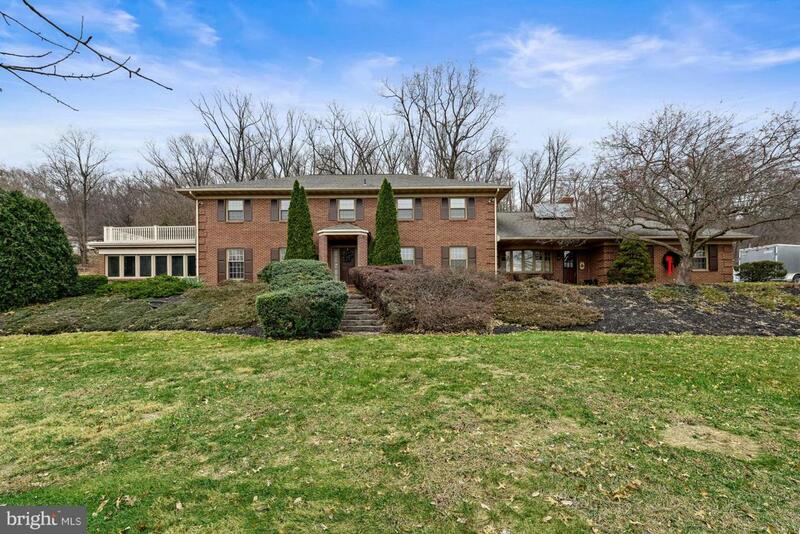 Very Private Setting With Brick Patio And Woods In The Rear. House Is Meticulously Maintained With Geothermal Zoned Heating/Cooling. At One End Is A 28'x20' Florida Room With A Built--In Hot Tub. Above the Florida Room Is A Deck Accessed Through The Bedrooms. The Main Floor Also Includes A Laundry Room, Office, and Den. Attached Over-Sized Garage Parking For 3 Cars. The Brick Detached 2-Car Garage Has Water, Phone, And Zoned Propane Heat In The Floor. Home And Grounds Are Perfect The Large Family As Well As Entertaining. Property Is Minutes To The PA Turnpike, Routes 272, and 222. Located In The Antique Hub Of Adamstown, It Is A Short Drive To Both Reading And Lancaster. Horses permitted see documents for zoning ordinance regarding animals allowed. Inclusions Clothes Washer & Dryer Refrigerator.